Papa's Pizzeria was established in Polk City, Iowa in February 1998. 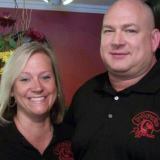 Now proudly owned by Shawn & Sandi Comer. Shawn brings over 20 years of experience in the pizza arena in the Des Moines area and has remodeled the interior for a comfortable and refreshing dining experience. 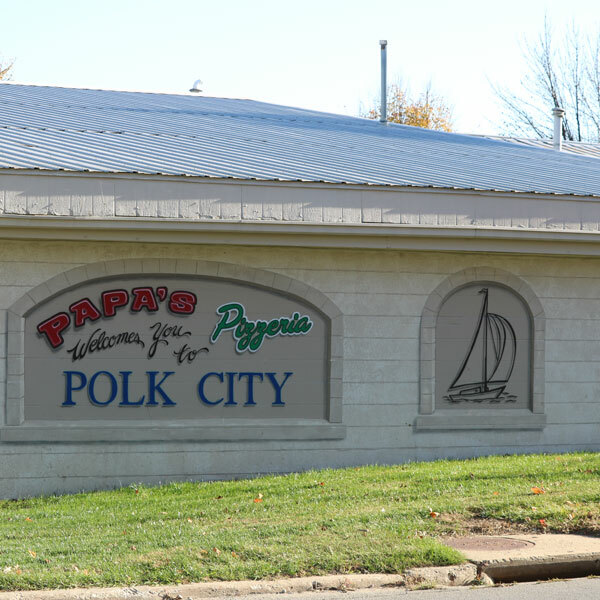 We are very proud to be a member of Polk City and welcome everyone with the mural on the side of our building. 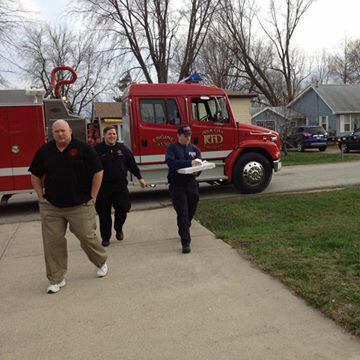 We support the Polk City fire fighters in there effects. We donate to Boy Scout and Girl Scout troops in the area, the North Polk School system in many ways and we give free pizza certificates to elementary students who meet reading and math goals, the Little League, missionaries, churches and many more worthwhile causes. Welcome mural to Polk City on the side of our building.